89 total news articles in this section, 10 per page. The game hasn’t been formally announced yet, but C o c k s says it’s a title aimed both at young teens and the collector and toy audience. It will come out in September or October. 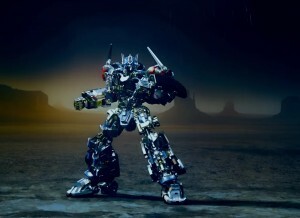 “We think Transformers are cool and the game has interesting, unique mechanics,” he says. “All cards are two-sided, over-sized and feel bigger, weightier in your hand.” C o c k s says the game has a relatively light learning curve, but a lot of depth. “It should take one or two times to understand how to play,” he says. You can read more from the interview here about the other properties they work with and keep your optics focus here as we uncover additional information as it becomes available to us. 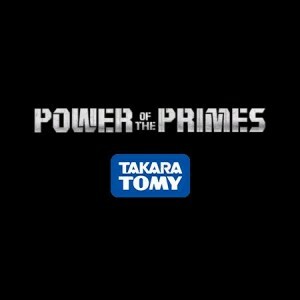 Takara's Power of the Primes Toys Confirmed as Identical to Hasbro's to "Unifying the World Brands"
There has been a lot of talk about how odd it is that more and more Takara toys are the exact same as the Hasbro released. We saw it with Trypticon but even more with the Transformers: The Last Knight toylines where even the box was the same. And now with the Power of the Primes toys looking identical for both companies (an example is given below) and both company logos appearing on the upcoming Studio Series toys, this similarity for multiple lines is getting fans both concerned and confused. 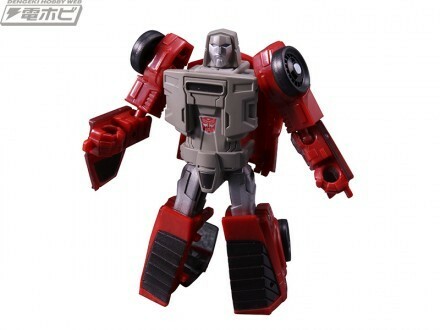 Is there any hope that those images from Takara were still just placeholders? And what exactly is going on? Well, the upcoming Figure King magazine (number 239) sheds some light on that and clarifies that indeed what we are seeing is true and intended to be the very same toys. There will be three pages dedicated to Takara's Transformers and the Snakas blog reports that we will not only see the same Power of the Primes toys we have already seen (and which many of us already own) but it will also discuss the new path Takara is taking with figures being identical to Hasbro. The Snakas blog quotes the magazine to say that the companies are "unifying the world brands on an unprecedented scale". This does confirm the fears many fans had, where Takara is choosing not to do their own take on Generations toys, unlike what has been the case with the Legends line so far. While the movie toys have already been very similar between brands in the past, having other lines be identical at the same time is indeed unprecedented. This definitely confirms that both companies are looking at their own markets first and foremost and that issuing the same toys for both markets must be more beneficial than the added money of imports. Or at least, this is what would seem to be the case with such an unprecedented decision. While it does mean that the same deco from Hasbro's Power of the Primes will also be seen in the Takara releases under the same toyline name (which so far excludes complete combiner teams), it does bring about the idea that maybe Takara is satisfied with the deco for their own market. Jazz for instance is a deluxe combiner which uses clear plastic and thus demands a lot more paint and the only combining deluxe to also need that was Groove which was a Takara design. So instead of seeing this as Takara lowering their standards for deco, it could be that this unified deco instead takes the Hasbro deco to higher standards than before. What do you think? Let us know! 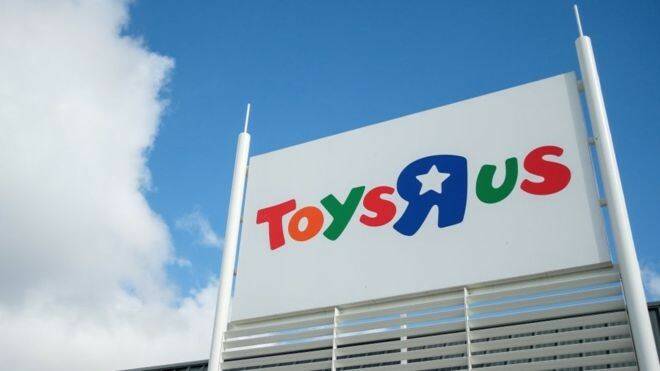 We have news from Bloomberg of Toysrus potentially closing 100 stores in the United States. This comes from "people with knowledge of the situation" and it is simply them considering it at this point. No decision has been made about whether stores will close or not or even the potential number, which may even go up to 200 according to other insiders. For those curious, Toysrus currently has 879 stores in the US which means that they would be potentially closing between %10-%20 of their stores. The strategy of closing stores with less traffic seems to be the main strategy of most department stores at the moment. Bloomberg states that the holiday shopping season has not yielded the numbers Toysrus was hoping for, though with the season not being over and the numbers for this quarter not released yet, we do not have a clear view at what numbers they are actually referring to. 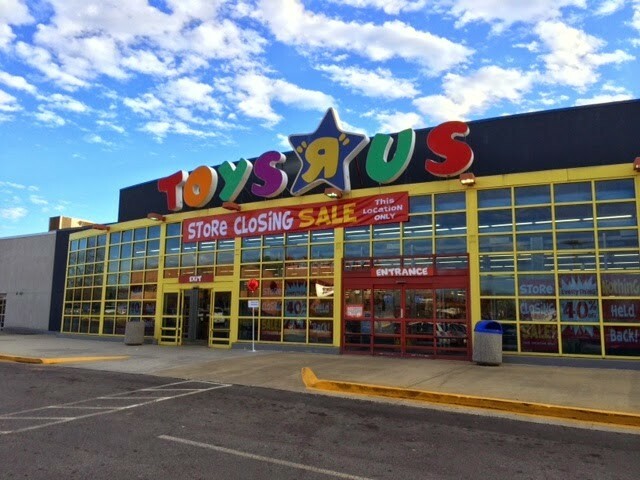 We have some more unfortunate news for those following the saga of Toys'R'Us, both in the US and the UK, ever since the first invocation of chapter 11 and the 'bankruptcy' story first broke (as covered here). As you might remember, the UK branch of the retail chain has been facing some rough times entirely independently of the US branch's bankruptcy filing, and around a quarter of their stores in the country could be facing closure. The latest addition to that story, as reported by major UK national media, informs us that pension funds may also be in trouble. Apparently, whatever the outcome stores will not be closing until the spring, meaning that holiday shopping (and jobs) will be unaffected, but you can read more on this below. Toys R Us UK is facing potential collapse this week with the loss of 3,200 jobs as it struggles to win the support of the state-backed Pension Protection Fund (PPF) for a planned restructure. The PPF, the industry-funded, state-backed safety net, demanded that the troubled retailer pump about £9m into the ailing Toys R Us UK pension fund. This is in order to gain the PPF’s support for the retailer’s planned company voluntary arrangement (CVA) procedure, which involves the closure of at least 26 loss-making stores. That deal would lead to the loss of up to 800 jobs. This weekend, we bring you another initiative that Hasbro is taking part in alongside Toys for Tots (as covered here), this time in partnership with ToyBox Tools - a resource created with and by The Autism Project to increase accessibility to toys and playing in general to children with developmental disabilities. Hasbro has joined with the project by contributing in both Transformers: The Last Knight and Transformers: Rescue Bots categories, and the simplified toys that the two lines contain. Check out more on the initiative below! The resources feature a variety of beloved Hasbro brands, including MY LITTLE PONY, TRANSFORMERS, PLAYSKOOL, BABY ALIVE and HASBRO GAMING. The tools were developed in collaboration with The Autism Project, who has a long-standing philanthropic relationship with the Hasbro Children’s Fund. They were designed to help children with a range of developmental challenges enjoy playtime in a way that’s fun and comfortable, at their own pace. They can be used with any child who needs support. Hasbro (NASDAQ: HAS) is a global play and entertainment company committed to Creating the World's Best Play Experiences. From toys and games to television, movies, digital gaming and consumer products, Hasbro offers a variety of ways for audiences to experience its iconic brands, including NERF, MY LITTLE PONY, TRANSFORMERS, PLAY-DOH, MONOPOLY, LITTLEST PET SHOP and MAGIC: THE GATHERING, as well as premier partner brands. 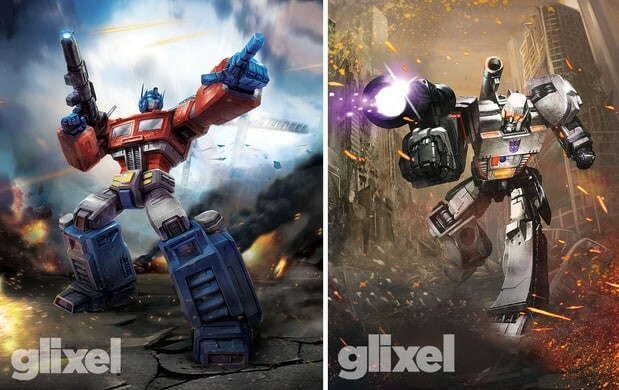 Through Hasbro Studios and its film labels, Allspark Pictures and Allspark Animation, the Company is building its brands globally through great storytelling and content on all screens. Hasbro is committed to making the world a better place for children and their families through corporate social responsibility and philanthropy. Hasbro ranked No. 1 on the 2017 100 Best Corporate Citizens list by CR Magazine, and has been named one of the World's Most Ethical Companies® by Ethisphere Institute for the past six years. Learn more at www.hasbro.com,and follow us on Twitter(@Hasbro & @HasbroNews)and Instagram(@Hasbro). The Autism Project is a unique collaboration of parents, professionals, and community members who provide quality support, training, and programming - accessible to all - for children and youth with an autism spectrum disorder, their families, and those who serve them. The Autism Project's vision is a world where individuals with an ASD are valued, actively participating members of their communities. Find out more at www.theautismproject.org. Hasbro are no strangers to philanthropic gesture and campaigns, and it looks like they'll be supporting their more generous side once again this year - though with a first-time campaign called Be Fearless Be Kind. 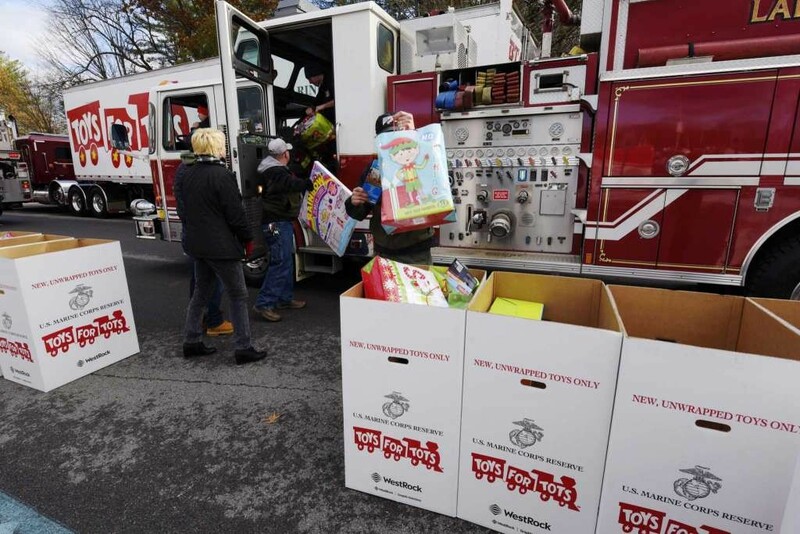 The company is joining up with the Toys for Tots scheme, a US Marine Corps foundation that supports families less fortunate and in need through the winter period in particular. 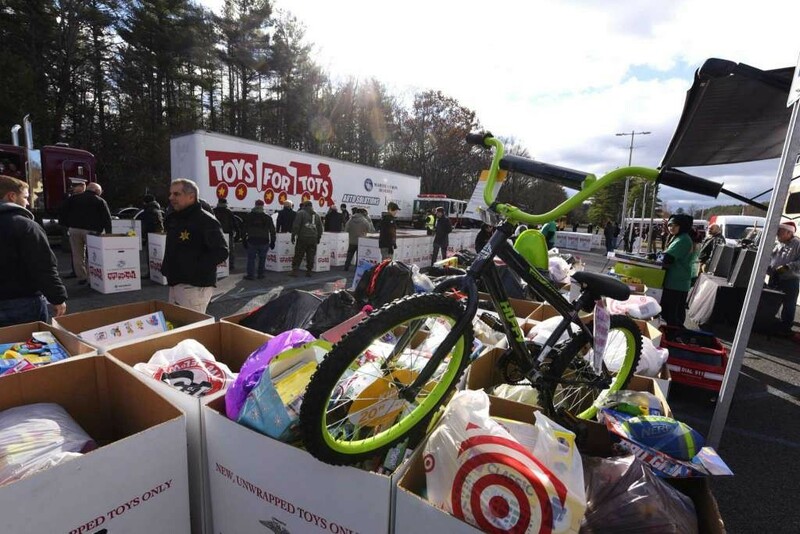 Specifically, Hasbro will be matching all donations made through the foundation: for each toy or game, they will add a second toy or game, up to a total of 1 million toys. 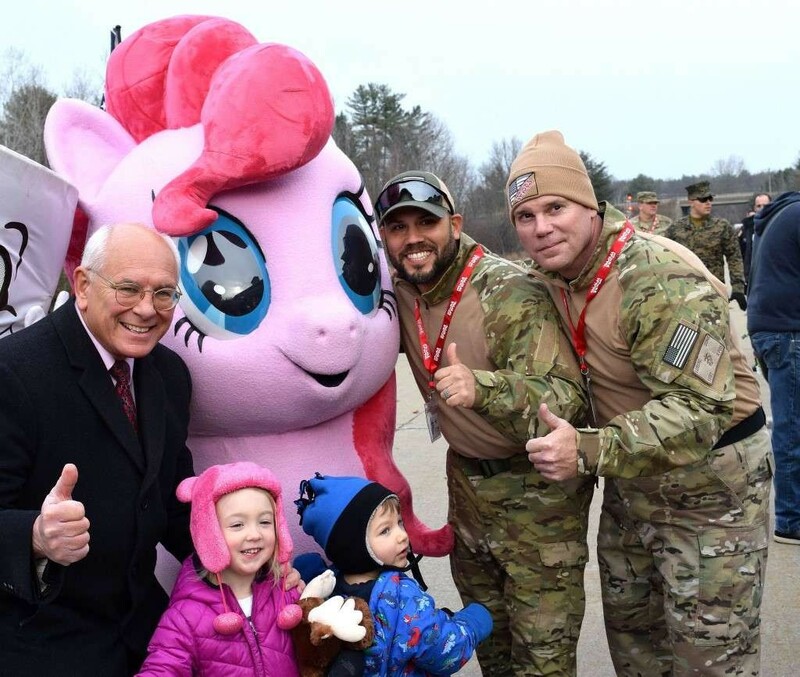 There have been reports of some hiccups in the campaign itself, though not related to either Toys for Tots or Hasbro themselves - you can read more on that here - but all seems to have settled pretty quickly. Read more on this new scheme below! 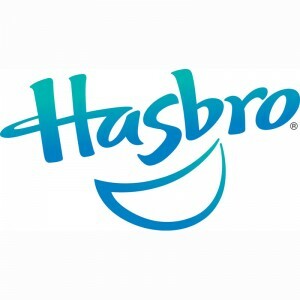 PAWTUCKET, R.I.--(BUSINESS WIRE)--Hasbro, Inc. (NASDAQ: HAS) today announced that its Board of Directors has declared a quarterly cash dividend of $0.57 per common share. The dividend will be payable on February 15, 2018 to shareholders of record at the close of business on February 1, 2018. Hasbro (NASDAQ: HAS) is a global play and entertainment company committed to Creating the World's Best Play Experiences. From toys and games to television, movies, digital gaming and consumer products, Hasbro offers a variety of ways for audiences to experience its iconic brands, including NERF, MY LITTLE PONY, TRANSFORMERS, PLAY-DOH, MONOPOLY, LITTLEST PET SHOP and MAGIC: THE GATHERING, as well as premier partner brands. 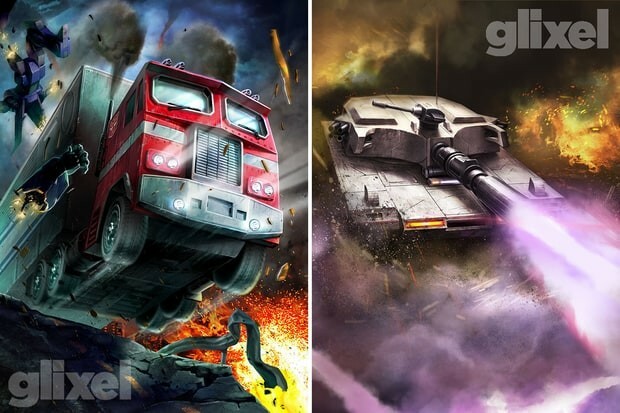 Through Hasbro Studios and its film labels, Allspark Pictures and Allspark Animation, the Company is building its brands globally through great storytelling and content on all screens. Hasbro is committed to making the world a better place for children and their families through corporate social responsibility and philanthropy. Hasbro ranked No. 1 on the 2017 100 Best Corporate Citizens list by CR Magazine, and has been named one of the World’s Most Ethical Companies® by Ethisphere Institute for the past six years. Learn more at http://www.hasbro.com, and follow us on Twitter (@Hasbro & @HasbroNews) and Instagram (@Hasbro). In another addition to the long saga of the Toys'R'Us bankrupcty news, previously reported on back in September, we have some news coming at us from the UK branch of the multinational retailer, courtesy of fellow Seibertronian blackeyedprime. It appears that, according to the BBC, out of the 106 stores currently open in the UK, at least 25 of them will be closed in the coming months due to issues of rental costs and the model of the stores themselves. 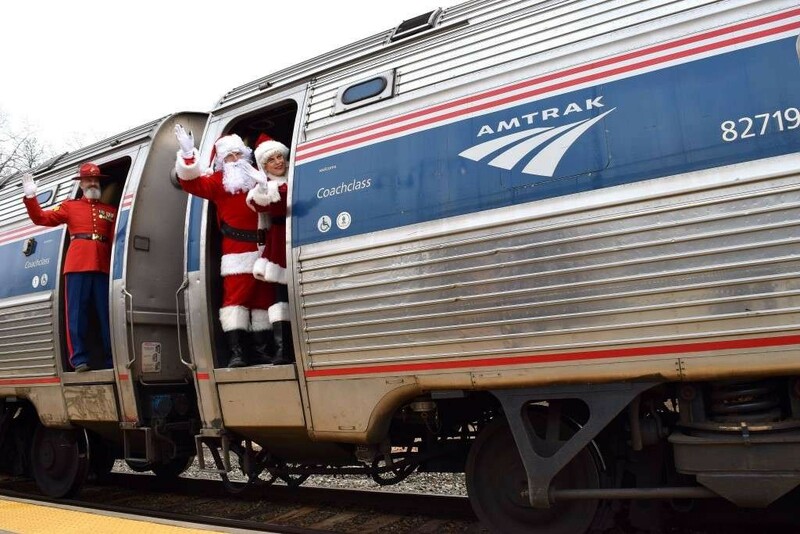 You can read more about the issue here, but it seems as though holiday retail at least will not be affected, though several thousand jobs will be cut if no solution is found on time. Worth noting: this is an entirely different issue than the Chapter 11 filing, and is limited to the UK locations of the retailer. The closures would form part of a deal to renegotiate debts owed by the company to its landlords - which must be agreed by 75% of its creditors. 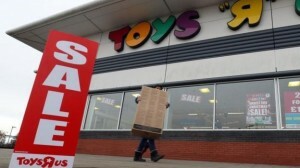 The toy giant, which has around 3,000 workers, is looking to move away from its "big-box" out-of-town store model. Christmas trading and gift cards are not expected to be affected. The company is seeking approval from its board and US parent company to enter talks with the landlords. 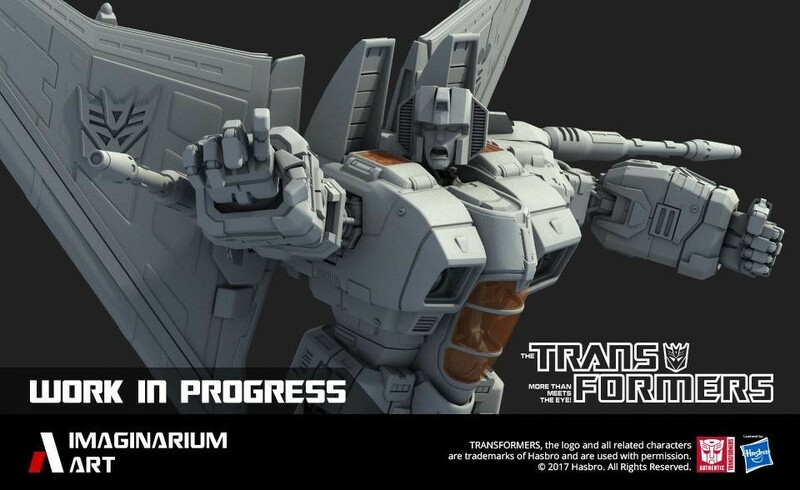 Imaginarium Art has added more characters to be statues to their growing pool of Transformers statue involving Coronation Starscream with throne, Ultra Magnus pose statue, Soundwave pose statue with his minions: Rumble (or Frenzy for those on the other side of the coin), Laserbeak, and Ravage, and lastly the most recent Rodimus Prime/Hot Rod statue holding the Matrix of Leadership up as he ascends to being the next Prime after Optimus. While the other statues have been sold out, but the Rodimus Prime statue is still up for preorder at the moment. Be expected to shell out though! The pluses with these statues, aside from being super highly detailed are that they can and do feature LEDs and other fancy lighting features. Hot Rod seems to be packed with those features along with impressive detail too. 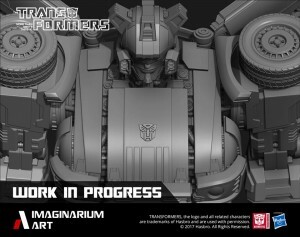 This time Imaginarium Art are increasing that number of Transformers statues with Autobot Jazz and Decepticon Skywarp. With these two added to our growing roster, we can hope for an even more characters to be made for their Transformers line. 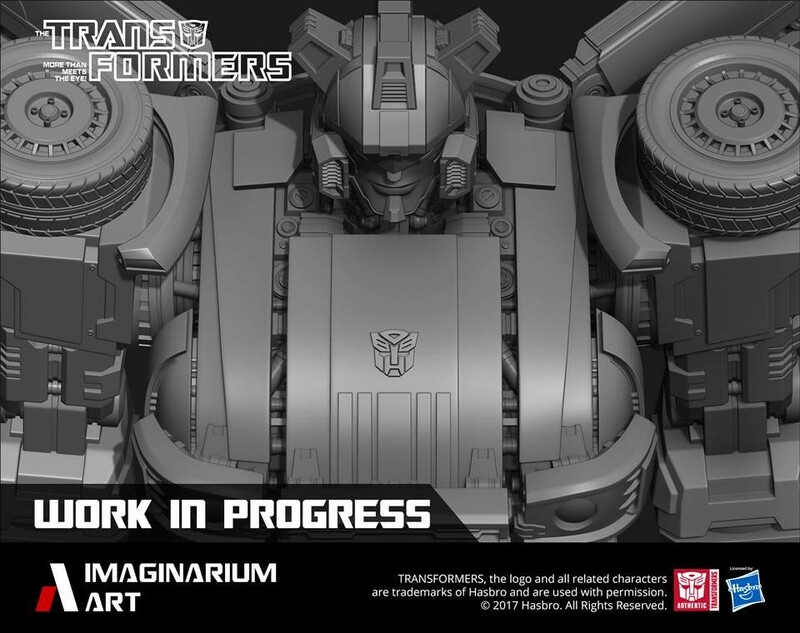 Here are the images below shared on Imaginarium Art’s Facebook page with Jazz and Skywarp respectively. Be sure to give them a like or follow on Facebook too! Coming from Tokyo Comic Con, we have a brand new brand partnership to report on! Casio posted a 30 second spot on the YouTube channel for their G-Shock Watches, and it features a G-Steel watch that transforms into Optimus Prime to save the earth from some oncoming meteors! According to a blog post, this promotion is to celebrate the G-Shock watch's 35th anniversary. It’s unknown at this time if this will actually lead to Casio Producing a special edition watch (Or Takara producing a special edition toy) based on the commercial, but we can only hope! Check out the ad below, and then discuss it in our Energon Pub forums! 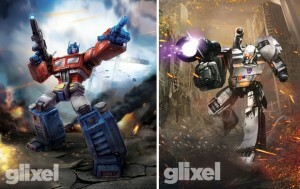 Keep your Optics and audio sensors tuned to Seibertron.com for all the latest Transformers news and reviews! 4,058 pages were recently viewed by 614 unique visitors. This page was viewed 1 times on Wednesday, April 24th 2019 7:12am CDT. © 2019 Seibertron, Inc. DBA Seibertron.com. All Rights Reserved. Established June 2000. Seibertron.com is owned by Ryan Yzquierdo.